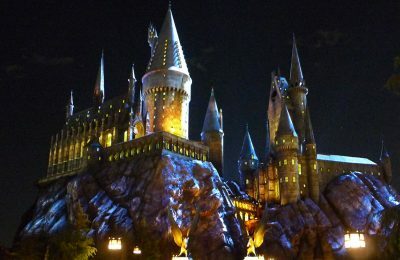 The Wizarding World of Harry Potter at Universal Studios Hollywood is getting ready to roll out in April. We’ve been lucky enough to get an early glimpse at the new land as it undergoes technical rehearsals. 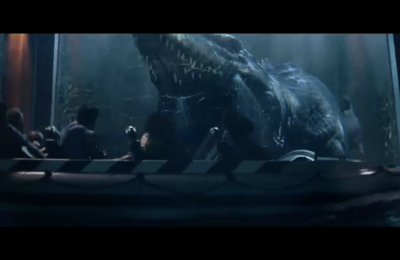 To celebrate the opening of the new land we will be showcasing a new part of it every week, to show you the detail and atmosphere that Universal creative has poured into it, making the land come to life from the pages of the books and the screen. 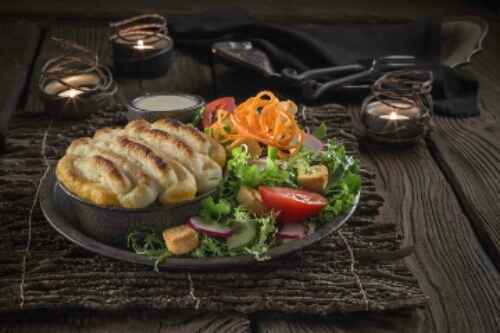 When you think of a new attraction, you rarely think about the food that goes along with it. That’s usually because there isn’t any food that goes along with it. The Wizarding World of Harry Potter has changed all that by making the food as big of a part of the experience as the rides. 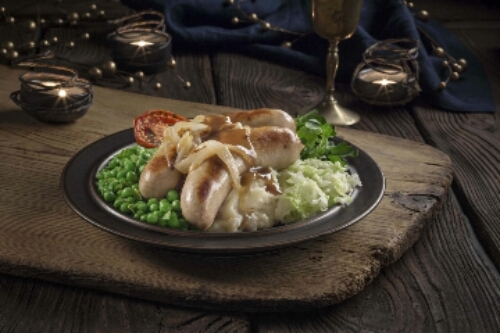 Food plays a huge part in the book series, as well as the movies, and Universal has integrated that feeling by bringing authentic English dishes to the area, in an English countryside setting. Guests can get a full menu of hearty, English inspired fiod such as Bangers & Mash (savory grilled English sausages with creamy mashed potatoes and minted peas), Shepherd’s Pie (ground beef and vegetables, crowned with potatoes), Beef Sunday Roast (prime rib of beef with Yorkshire pudding and gravy), Beef, Lamb & Guinness Stew and Fish & Chips. Rounding out the hearty fare are decadent treats such as Butterbeer potted cream and sticky toffee pudding. 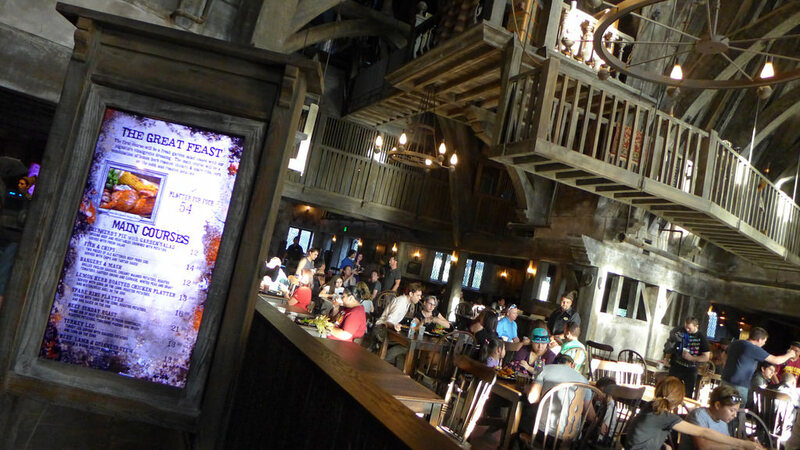 The setting for the food is just as important as the food itself, as Universal creative has built a warm and inviting atmosphere in the Three Broomsticks. The Inn is very reminiscent of an old English Inn, but still retains that air of magic from the Harry Potter series. Gilly Water, Butterbeer pumpkin juice, and pumpkin fizz are also available in Three Broomsticks. 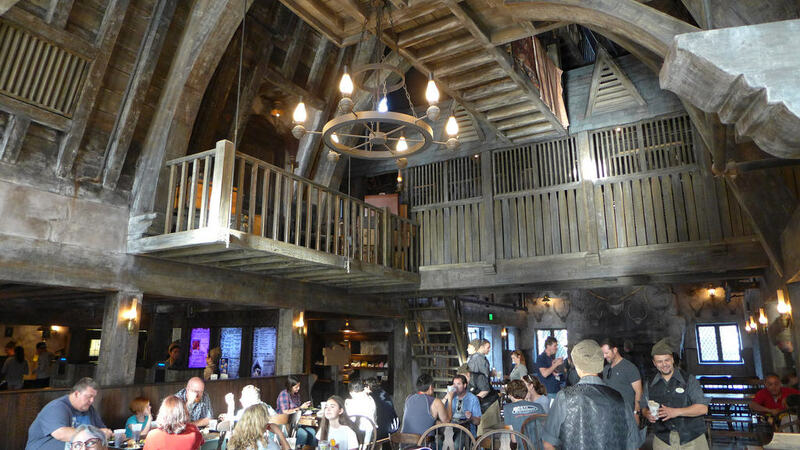 Attached to Three Broomsticks is the very quaint Hogshead Pub. 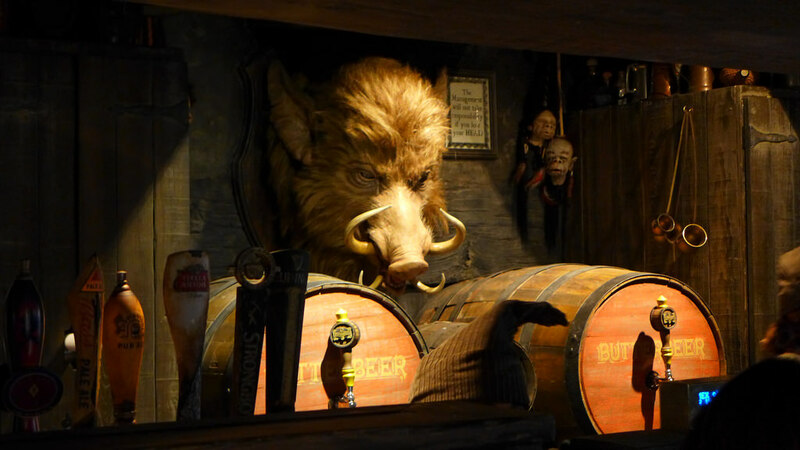 While pub food is not available, signature drinks such as the non-alcoholic Butterbeer and Hog’s Head Brew, Dragon’s Scale, Wizard’s Brew and Fire Whisky. Again, ordering your drink is only half the fun, as guests are treated to the pubs namesake, The Hogs Head as he grunts and snorts on occasion. The Wizarding World of Harry Potter has its grand opening on April 7th at Universal Studios Hollywood. 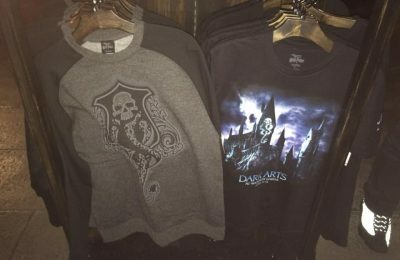 Slideshow-Check out even more pictures from The Wizarding World Hollywood! Stay tuned throughout the weekend as we add more photos and videos of the entire experience! Join the conversation online using #WizardingWorldHollywood. Like Universal Studios Hollywood on Facebook and follow @UniStudios on Instagram and Twitter., and be sure to get social with us on Facebook and follow along with us on Twitter @BehindThrills for the latest updates!